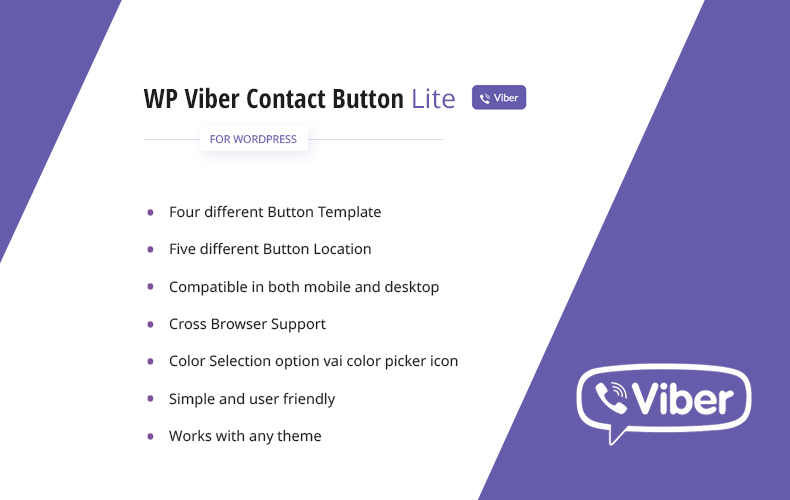 A cross browser compatible WordPress Plugin, WP Viber Contact Button Lite allows you to easily create chat via Viber in WordPress. With multiple color effects, color options and animation effects this plugin perfectly combines Viber application with WordPress platform. Use Viber in WordPress with WP Viber Contact Button Lite. Hey Buddy!, I found this information for you: "Free Viber Contact Button Plugin – WP Viber Contact Button Lite". Here is the website link: https://access-keys.com/wordpress-plugins/free-viber-contact-button-plugin-wp-viber-contact-button-lite/. Thank you.